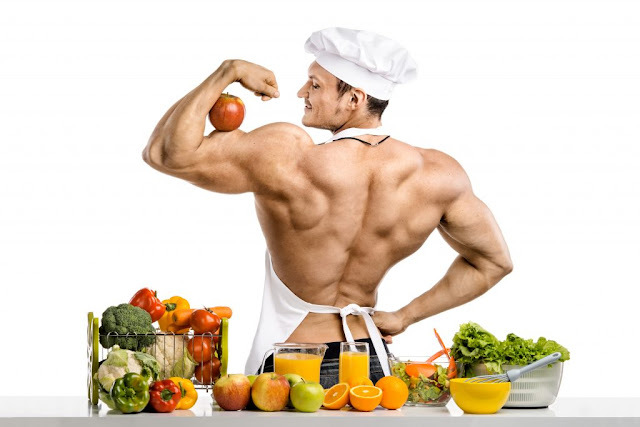 Home > Bodybuilding Tips > What to eat after working out? After workout meals play the vital role in the development of our muscles. If you’re doing lots of hard work in the gym but you don’t take good post workout meals then your all efforts are wasted. Post workout meals are very important for our body because during workout our body and muscles got tired so they require proper nutrients and vitamins to recover again. If you don’t provide the necessary nutrients and minerals - our muscles took lots of time to recover which in turns delay the time of muscle building? So after workout meals are very necessary to develop muscles, recovery and give you stamina as well. In this article, I’ll tell you about some most effective meals to eat after a workout. Our muscles thrive on protein so eating protein after a workout is a smart choice because it helps to grow muscles and recover them. Meat is the natural source of protein but if don’t eat animal foods then you can full-fill need of protein by natural sources like chia seeds, dairy products, tofu and peas and protein supplements. Our body stores glycogen and this is used as a fuel during workout sessions. Consuming carbs after workouts help to replenish them. The amount of glycogen used by our body depends on the type of activity we are doing. The people who participate in endurance sports like running, swimming etc. might need to consume more carbs than a bodybuilder. To incorporate glycogen in your meals you might need to eat fruits, starchy vegetables, and whole grain food in your post workout meals. Plain Greek yogurt boasts an ideal protein-to-calorie ratio, which makes it a great post-workout treat. A six-ounce serving of plain Greek yogurt contains 14 grams of protein and 100 calories. So incorporating plain Greek Yogurt in your post workout meals is a smart choice. Watermelon is the yummy sweet fruit that contains 92% of water, makes it the perfect choice to get rid of dehydration. Two cups of watermelon have only 80 calories and also it’s a good source of potassium, vitamin A, lycopene and vitamin C. A study shows that athletes who consumed watermelon juice experienced up to 40 percent less muscle soreness 24 hours after exercise compared with athletes who didn’t consume watermelon juice. Salmon is the best source of omega-3 fatty acids that can help to improve glucose tolerance and promote lean body mass. Salmon have some good fats that play the vital role in hormone production and can thus aid in muscle growth. Further, the fat found in lean protein can elevate your metabolic rate, which helps you to shed additional fat and build lean muscle mass. Berries are rich in disease-fighting antioxidants; immune boosting that can help squash the oxidative stress the body endures after intense bouts of exercise. The antioxidants present in berries can help to mitigate the high level of oxidative stress (which leads to further muscle-tissue damage) associated with exhaustive exercise. Fortunately, by increasing intake of antioxidant-rich foods like berries exercise-induced muscle damage and inflammation caused by free radicals is diminished. Berries are delicious when paired with a protein-rich snack like Greek yogurt, cottage cheese, string cheese or a handful of nuts. You can also incorporate them into a smoothie with a protein powder of your choice.